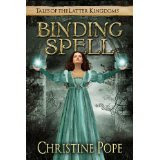 Today I will be reviewing "The Binding Spell" by Christine Pope. This book is a case of mistaken identity that turns out to be a good thing. This book combines magic, adventure, and a heroine that wants to live her own life the way she wants to. Plus the cover is so awesome that it is what drew me into reading the synopsis to see if I wanted to buy it or not. "A case of mistaken identity takes Lark Sedassa from her family's estate and into the power of Kadar Arkalis, the ruler of North Eredor, who thinks he's captured a much greater prize. Although he soon realizes his error, he makes Lark his bride anyway, still hoping to capitalize on her family's connections. Escape is nearly impossible, and before long Lark is not sure whether she even wants to leave. As she struggles with her growing feelings for her captor, she must find the strength within herself to draw on powers she doesn't even realize she possesses. Without those powers, she cannot hope to face the evil rising within the kingdom...or save the man she now calls husband." Lark is asleep in her bed when out of no where she is kidnapped and taken on a wild adventure. She tries to escape but her captor, Kadar, catches her and winds up taking her to his kingdom. When Lark finds out that Kadar means to marry her she tries to talk her way out of it. 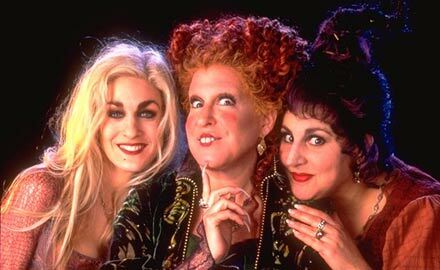 She finds it stressful after their married to hide her magic from her new husband. She was always told by her father, that there were people out there who would kill her for her power. When magical people start dying around her, she decides to try to figure out who the killer is, even if it is the death of her. Will Lark be able to find her happily ever after and bring the killer to justice or will she lose everything she loves and her own life in the search for the truth?